This volume examines the psychological, social-relational, and cultural foundations of the most basic moral commitments. It begins by looking at the seminal writings of Augusto Blasi, whose writings on moral cognition, the development of self-identity, and moral personality have transformed the research agenda in moral psychology. This work is now the starting point of all discussion about the relationship between self and morality; the developmental grounding of the moral personality; and the moral integration of cognition, emotion, and behavior. Indeed, it is now widely believed that organizing self-understanding around basic moral commitments is crucial to the formation of a moral identity which, in turn, underwrites moral conduct. Using Blasi's work as a point of departure, a distinguished interdisciplinary and international group of scholars have contributed essays summarizing their own theoretical and empirical research on these topics. This book features new theories of moral functioning that range across several psychological literatures, including social cognition, cognitive science, and personality development. 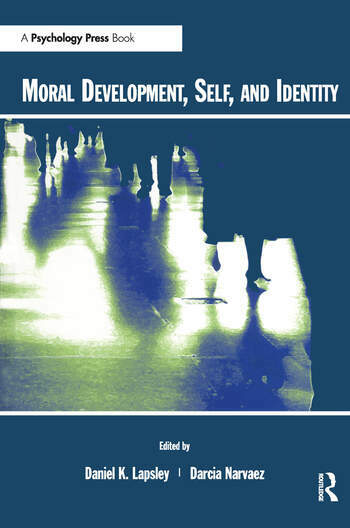 Examining the social-relational, communitarian, and cultural aspects of moral self-identity, it provides a comprehensive account of moral personality. Uniformly integrative, field-expanding, and on the cutting edge of research on moral development and personality, the book appeals to scholars, developmental theorists and graduate students interested in issues of moral development, education, and behavior, as well as cognitive development theory. Contents: Preface. L.J. Walker, Gus in the Gap: Bridging the Judgment-Action Gap in Moral Functioning. R. Bergman, Identity as Motivation: Toward a Theory of the Moral Self. F.C. Power, The Moral Self in Community. R. Atkins, D. Hart, T.M. Donnelly, Moral Identity Development and School Attachment. D. Moshman, False Moral Identity: Self-Serving Denial in the Maintenance of Moral Self-Conceptions. L. Nucci, Reflections on the Moral Self Construct. M. Nisan, Judgement and Choice in Moral Functioning. B. Puka, Altruism and Character. D.K. Lapsley, D. Narváez, A Social-Cognitive Approach to the Moral Personality. W. Edelstein, T. Krettenauer, Many Are Called, But Few Are Chosen: Moving Beyond the Modal Levels in Normal Development. T. Wren, C. Mendoza, Cultural Identity and Personal Identity: Philosophical Reflections on the Identity Discourse of Social Psychology. M. Keller, Self in Relationship. G. Nunner-Winkler, Sociohistoric Changes in the Structure of Moral Motivation. A. Blasi, Moral Functioning: Moral Understanding and Personality. "Anyone interested in the roots of moral development will find this a useful guide to the new theoretical orientations in this expanding field. The book is geared to those familiar with the basic foundations of moral development. Recommended." "This book features new theories of moral functioning that range across several psychological literatures....Examining the social-relational, communitarian, and cultural aspects of moral self-identity, it provides a comprenshive account of moral personality." "This work is now the starting point of all discussion about the relationship between self and morality....This book features new theories of moral functioning that range across several psychological literatures, including social cognition, cognitive science, and personality development....it provides a comprehensive account of moral personality." "The editors did an excellent job formulating how moral development of the individual and the community takes great power and responsibility. This work provides an excellent examination into the relationship between moral development and the maturation of the self....an admirable view of contemporary research and questions concerning moral psychology. The information presented in this book regarding moral development could serve a wide variety of functions." "The wide range of topics broadens the readers base, as there is something for everyone; the book is both philosophical and psychological....the book contains a wealth of thought-provoking information and ideas, and it is a wonderful tribute to Augusto Blasi."